Drawing Room is pleased to offer Drawing Circle members, and a limited number of Network members, the opportunity to join artist Shezad Dawood on the North Bank of the River Thames on a mudlarking expedition, followed by lunch (optional). Drawing Room members are invited to join Shezad Dawood in a search for artefacts and an examination of layers on the North Bank of the River Thames. 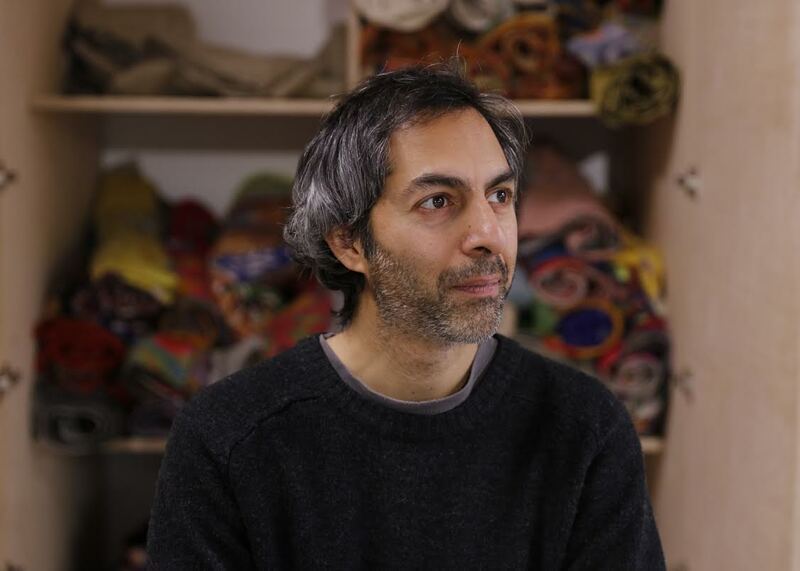 Often working in collaboration with communities and individuals from different geographic locations, Dawood works in film, painting and sculpture to explore the physical and conceptual archaeology of place and histories. This special event reflects the artist’s interest in layers of narrative and will give a unique insight into his thinking processes and working practice. Shezad Dawood was included in the Thinking Tantra (2016) exhibition at Drawing Room. Artist's Secret Place is our annual members' visit with an artist to a place or space of particular interest to them. Artists who have previously shared their secret places include Cornelia Parker, Michael Landy, Paul Noble and Nicola Tyson. The event is part of Drawing Room's exclusive events programme for Drawing Circle members. If you wish to join the Drawing Circle and access our private events please contact Vishal Sumarria or visit our Join page. PLACES ARE STRICTLY LIMITED. Selected exhibitions for Shezad Dawood include: Rubin Museum of Art, New York, USA (2018); Palazzina Canonica and Fortuny Factory Venice, Italy (2017-18); Si Shang Art Museum, Beijing (2017); Mori Art Museum, Tokyo (2016); Museum of Modern Art, New York (2015); Taipei Biennial, Taiwan (2014); Marrakech Biennial, Morocco (2014); MACBA, Barcelona (2014); Witte de With, Centre for Contemporary Art, Rotterdam (2013); Modern Art Oxford (2012); Busan Biennale, South Korea (2010); Tate Britain, London (2009); and the 53rd Venice Biennale, Italy (2009).